We're a two-man development team working with the Unreal 4 engine in hopes of creating a career for ourselves in the games industry. It would be greatly appreciated to hear your feedback for our game. Currently it's packaged to run on 64-bit PC systems and we're in the process of packaging a 32-bit version as well as Mac and Linux ports. Right now 1368x768 resolution support has not been implemented. If you think our project has enough merit please vote for us on Steam Greenlight and let us know it! 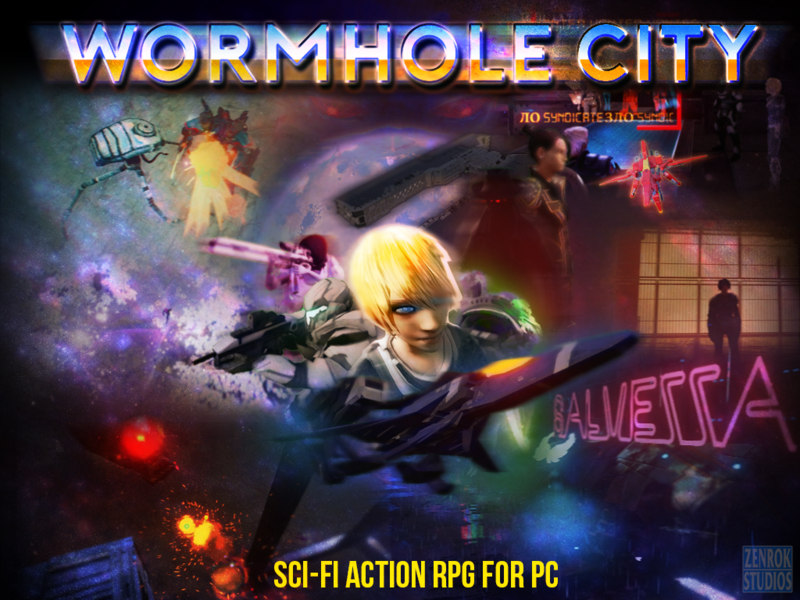 Wormhole City is a single-player sci-fi adventure game with top-down platforming, puzzle and action elements developed in Unreal Engine 4 for PC. Control vehicles and gain power-ups through exploration and defeating enemies while making game-changing decisions throughout your story. Through faster-than-light technology, nations strive to colonize the universe while diverging factions struggle for control and freedom throughout space. Play as space forces, space pirates, and alien races and uncover their motivations in. Please let us know if you have trouble downloading or playing the game, we're in the process of trying new file hosting services and we need your feedback to improve our gameplay! Quickly checked the trailer. The assets seem to be up to snuff, the art direction looks expertly done, I'd need to play it to gauge game design. Seems like you've got a good project going, I wish you all the best. Thank you for the feedback and support, it means a lot to us. Hope we can release more demos for playtesting in the future and contribute to these forums.